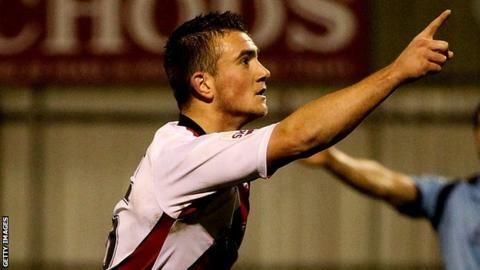 Conference side Woking have re-signed Ipswich Town striker Jack Marriott on a youth loan deal until 4 January 2015. The 20-year-old scored 12 goals in 22 league appearances for the Cards during two spells at Kingfield last season. Marriot played five times during a one-month loan stay at League Two side Carlisle earlier this season. "Hopefully Jack can provide a cutting edge when he gets up to speed," Woking director of football Geoff Chapple told BBC Surrey. "He's not had a lot of game time so we must not expect miracles overnight. "Just because he is back we can't think we are going to start scoring freely again." Marriott came through Ipswich's youth system and has made a total of three appearances for the Championship club.